From the majestic mountains to the thundering footsteps of elephants, Tanzania is a destination for those with an appetite for adventure. This incredible 9-night journey wraps together the incredible Tarangire National Park, the breathtaking Serengeti and the awe-inspiring Ngorongoro Crater together in one incredible tour. The Ngorongoro Crater is game viewing gone crazy and it is not surprising that it is one of Tanzania’s highlights. Tarangire National Park has an overwhelming concentration of wildlife and in the dry season the Tarangire River is a magnet for thirsty wildlife. The Serengeti’s remote Western Corridor is home to a dazzling array of animal, bird and floral species. This region becomes a hive of activity when it offers front row seats to the Great Migration, with hundreds of thousands of wildebeest and other migratory species thundering through the area’s woodlands and across its plains. Our amazing safari allows you to see some of the planet’s most amazing wildlife that will have your camera working overtime. Those who have been to Africa will tell you that a visit will change your life. This adventure will do it several times a day! Join together with Jewish Singles as we explore this breathtaking country. This tour is limited to 22 guests, where a smaller group will make your travel experience more personal. Click here to watch the preview video of Safari in Tanzania! Leave your home city and fly across the Atlantic and then down to Africa. On your overnight flight, you’ll dream of your African safari. Arrive today in Kilimanjaro, Tanzania. After clearing immigration and customs formalities you will be met and transferred by private vehicles to the Lake Duluti Serena Hotel. Arusha is the safari capital of Tanzania located at the foot of Mt. Meru and close to Mount Kilimanjaro. Just to the north, on the slopes of Mt. Meru is the Arusha National Park. Built by the Germans as a center of colonial administration because of the temperate climate, Arusha is a good spot to begin our journey. Tonight, enjoy a relaxing late evening dinner upon arrival, followed by a good night’s sleep. Overnight Lake Duluti Serena Hotel: Nestled at the foot of the wooded slopes of Mount Meru, this unique hotel stands amid coffee plantations on the shores of tranquil Lake Duluti. Designed to echo the traditional style of the colonial coffee farm, which originally stood on this site, the property offers a range of tastefully presented cottage-styled rooms set amid extensive landscaped grounds. Breakfast and dinner are included at this resort. After breakfast and a Group Orientation, depart with our guides and private vehicles (closed vehicle with pop top roof) to Tarangire River Camp located on the edge of Tarangire National Park. Spend the next two days enjoying morning and afternoon game drives in search of the numerous species of animals found in the area. After the Serengeti, Tarangire National Park has the greatest concentration of wildlife in Tanzania and in the dry season the Tarangire River is a magnet for thirsty wildlife. Large herds of elephants and migratory wildebeest, zebra, buffalo, impala, gazelle, hartebeest and eland gather and not surprisingly the predators follow. This is also the one place in Tanzania where dry-country antelope such as oryx and gerenuk are regularly spotted. Tarangire is also known for its spectacular baobab trees, and its breath taking views of the Masaai Steppe and the mountains to the south. Overnight: Tarangire River Camp: Tarangire River Camp is set within 25,000 hectares of concession area, included on the land is a branch of the Tarangire River itself, which the camp overlooks. Traditional grass thatching adorns the roof of the main lodge structure, which is set off the ground on an elevated deck. The breezy lounge boasts ample seating in a relaxing open-air environment. The dining area, where culturally inspiring meals are served, consists of simple safari style seating and the elevated position allows for excellent views over the riverbank below. Both the dining and lounge areas are married into a proper bon-fire area and game viewing deck that also overlook the same stunning views. A smaller, secondary game viewing deck rises above the ceiling and offers a high, intimate perch above it all. The lodge’s small, informal gift shop offers the families of the nearby Maasai villages a chance to sell some of their handmade wares. Driving time from Lake Duluti Serena Lodge to Tarangire River Camp is approximately 2 hours. Breakfast, Lunch and Dinners are included. Drinks (Local Brands) are included. Laundry is also complimentary. After breakfast depart by private vehicles (closed with pop up roof) to Lake Manyara National Park. The park is most famous for its tree climbing lions which spend most of the day spread out along the branches of Acacia trees twenty to twenty five feet above the ground. Nestling at the base of the Great Rift Valley escarpment the park is noted for its incredible beauty. The terrain varies from lush forests to woodlands, grassland, swamps and beyond, the soda lake itself offering sanctuary to over 350 bird species including flamingo, pelican, storks, sacred ibis and Egyptian geese. The park is also noted for its numerous buffalo, elephant, giraffe, impala, hippo and a great variety of smaller animals. Spend the morning enjoying a game drive along the edge of the lake before departing to Acacia Farm Lodge. On our way to the Serengeti and Ngorongoro Crater we will stop in the town of Karatu in the green hills of Tanzania’s northern highlands. Presided over by the towering Ol Deani Volcano, this small, colorful town serves as a popular overnight stop for visitors exploring the area’s many game parks. Overnight: Acacia Farm Lodge: Acacia Farm Lodge is a romantic country lodge nestled in an active mixed farm located high on the spectacular Great Rift’s escarpment area with commanding panoramic views of the amazing Karatu farmlands and the nearby Ngorongoro forest area. The area’s unrivalled natural beauty is finely complemented by the elegant lodge. A timeless tranquility emanates from the exuberance of birdsong, mature trees, and the lovely coffee plants. Driving time from Tarangire River Camp to Acacia Farm Lodge is approximately 3 hours (not including the game drive in Lake Manyara National Park). Breakfast, Lunch and Dinner is included. After breakfast depart by private vehicles (closed with pop up roof) to Lake Eyasi to spend time experiencing the culture of Tanzania. The Hadzabe people are hunter-gatherers still using “click” to communicate when hunting with their poison arrows and spears. They live under bushes and move about following the game. The Datoga are settled and not as varying in their lifestyle. The men leave the women and children behind in dry times to take their cattle and goats/sheep to greener areas while the family stays in their permanent homes. The women often decorate themselves with raised tattoos around their eyes or blackened marks on their faces- and their dress is also unusual with brass ornaments around their arms and legs. Some of the women wear skins that are decorated with beads. You will have the opportunity to accompany the Hadzabe people as they go hunting, or on whatever activities they have planned for the day. 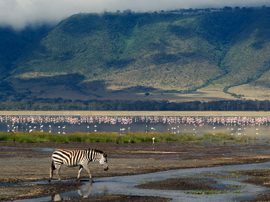 Ngorongoro Crater: The Ngorongoro Crater is game viewing gone crazy and it is not surprising that it is one of Tanzania’s major tourist drawing cards. Within the crater rim a daily wildlife drama is played out as large herds of zebra and wildebeest graze nearby lions, leopards, elephants and black rhinos. Outside of the crater a similar drama continues in a more spread out manner with Masai herdsmen thrown into the mix. Overnight: Ngorongoro Serena Safari Lodge: Perched on the jagged rim of the crater, wreathed in morning mist, camouflaged in river-stone and cloaked in indigenous creepers, the Ngorongoro Serena Safari Lodge is a triumph of ecological and architectural fusion. Sensitively constructed so as to take nothing from its environment while affording endless vistas over the heat-shimmering reaches of the crater below, the clustered boulder-built buildings of the Lodge hug the crater rim, linked by rope-lashed timber walkways that skirt the buttressed roots of ancient, liana-hung trees. Strung around the crater rim, each with its own rock-enclosed balcony, the rooms feature brass lamps, embossed leather headboards, wildwood mirrors, Maasai carvings and flamboyant prehistoric wall motifs depicting fleeing giraffes, stylized gazelle and plunging buffalo. Each room draws on a cave-grey, indigo-blue and jasper-red color-scheme, is fully air-conditioned and enjoys uninterrupted views over the Crater’s unmatched splendor. Driving time from Acacia Farm Lodge to Lake Eyasi is approximately 1 hour and from Lake Ayasi to Ngorongoro Serena Lodge is 2.5 hours. Breakfast, Lunch and Dinner is included. This morning you will be transferred in your private vehicles (closed with pop up roof) into the mystical and mighty Ngorongoro Crater. Three million years ago the mountain peak of Ngorongoro towered alongside Kilimanjaro as one of Africa’s tallest peaks. Formed during the tumultuous birth of the Great Rift Valley, its volcanic top erupted violently and the entire mountain collapsed upon itself, forming the present day caldera. 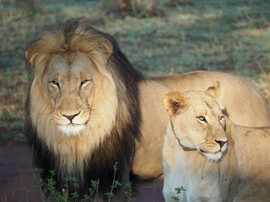 Spend a full day with your vehicle for a stupendous and exciting safari. The journey down onto the Crater floor takes about 45 minutes and as you descend you will become aware of huge volumes of game sheltered within this caldera. Here you will have the opportunity to marvel at some of Africa’s last remaining black rhino and black maned lions stalking the grasslands. Huge flocks of pink flamingos crowd the soda lakes and giant tusked elephants wander through the fever and fig tree forests. The array of wildlife is quite awe inspiring as is the amazing ancient interaction between the local Masai and their cattle, alongside that of the wildlife. Breakfast, Lunch and Dinner is included. After breakfast depart in your private vehicles (closed with pop up roof) to the famous Serengeti which is unequalled for its beauty and contains more than 3 million large animals all spread over the vast endless plains. En-route you will make a stop at Olduvai Gorge. Your accommodation for the next three nights is at Kirawira Serena Camp. Spend these days exploring the vast open plains in search of the countless species of animals found in the area. During your stay, your will be taken to a secluded spot for a bush breakfast among the animals. In addition, on your final night enjoy a dinner served out on the deck under the stars. Serengeti Western Corridor: Defined by its two parallel rivers: the Mbalageti and the Grumeti, the Serengeti’s remote Western Corridor is home to a dazzling array of animal, bird and floral species. This region becomes a hive of activity when it offers front row seats to the Great Migration, with hundreds of thousands of wildebeest and other migratory species thundering through the area’s woodlands and across its plains. While this is undoubtedly the annual wildlife highlight, the Western Corridor offers good game viewing throughout the year. Overnight: Kirawira Serena Camp: Standing high on the bluff of a bush-cloaked ridge, commanding panoramic views over the endlessly rolling reaches and volcanic reefs of the Serengeti National Park, Kirawira Camp is the epitome of colonially-styled safari luxury. Each room has a personal valet and has been accommodated in a spacious canvas tent, erected on raised platforms of rope-lashed logs and sheltered by a bush-thatch roof. Spend the days exploring the endless grass plains in search of Africa’s big game. Driving time from Ngorongoro Serena Lodge to Kirawira Tented Camp is approximately 4 hours (not including stops for game viewing). Breakfast, Lunch and Dinners are included. After a final early morning game viewing activity you will be transferred by private vehicles to the airstrip for a flight to Arusha. Upon arrival you will be met and transferred by private vehicles to the Lake Duluti Serena Hotel where day rooms will be reserved for your convenience. In the evening you will be transferred to Kilimanjaro Airport for your outbound international flight, or continue along with us for an extension in Zanzibar. A deposit of $3250 is due with your reservation. Full payment is due March 5, 2019. *Pay deposit and final payment by check and receive a $200 reduction in price. International airfare is not included in the tour rate. Flight details and parameters will be sent with your confirmation letter. Cancellation Policy: From the time of initial deposit prior until November 28, 2018, there is a $750 per person penalty for cancellation. From November 29, 2018 – March 4, 2019, the cancellation penalty is 25% of the total package price including post-tour package to Zanzibar. From March 5 – April 3, 2019, the cancellation penalty is 50% of the total package price including post-tour package to Zanzibar. Cancellations made on or after April 4 including “no-shows” will receive no refund. There is no refund in the event of interruption or cancellation by the passenger after the start of the journey. Flights and Transfers: International airfare has not been included in the tour rate. 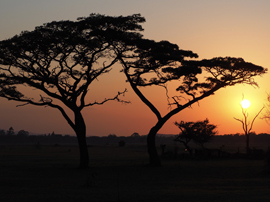 The tour rate includes one intra-African flight between the Serengeti and Arusha. For those on the Zanzibar post-tour, roundtrip airfare between Tanzania and Zanzibar has been included. It is important that you not purchase airfare until you receive a confirmation letter from Amazing Journeys which will contain specific flight parameters. Taxes, Service Charges, Government Fees and Gratuities: All taxes, service charges and government fees have been included in the rate with the exception of a Tanzanian Departure Tax, paid in cash upon departure. This departure tax is currently $20 USD. Gratuities have been included on this itinerary for included features. They include tips for drivers and safari guides, hotel and game lodge staff, servers for included meals, and baggage handling in and out of each hotel. Taxes, service charges and government fees are subject to change. Passport and Visa: A Passport is necessary to travel on this itinerary. It must be valid for six months beyond the last day of the trip. You must have at least four blank pages available in your passport that say “Visa” and not “Endorsements” for the visa as well as arrival and departure stamps. A visa is required for entrance into Tanzania. For US citizens, the cost for a visa for Tanzania is $100 per person USD. For citizens of most other countries, the cost of the visa is $50 USD. Visas may be purchased upon arrival into Tanzania. A Tanzanian visa is all that is required for entry into Zanzibar. Please note that all visa information as well as rates may change from time-to-time. It is up to the individual traveler to know the most current rules before traveling. Baggage: Please note that due to baggage requirements on our internal flight, a maximum of 33 pounds of luggage per person will be permitted. With the exception of complimentary laundry in Tarangire River Camp early in our tour, laundry services are available for a fee at each property. Yellow Fever: Proof of a Yellow Fever inoculation (minimum 10 days prior to arrival) is required for entry into Tanzania only if you are traveling from a country with a risk of Yellow fever such as Kenya. This does not include the USA or Europe. Please check the latest listing of countries on the CDC website.